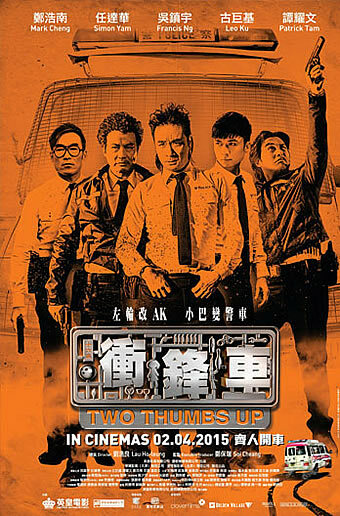 Synopsis: Big F and his gangsters dress their minibus to resemble a police vehicle, and pose as policemen for a robbery. Police Officer Chui has sensed “criminal intent”. Without police orders, he investigates these gangsters. At the robbery the gangsters engage in a gunfight against the real criminals, who kill randomly. Big F and his men are infuriated. They may wear police costumes and use toy guns, but their passion is real. Sensing their righteous passion, Chui decides to side with the imposters and their 16-passenger EU vehicle. Big F and his men re-discover the bond they felt when they used to battle together. Finally, Chui, Big F and the gang defeat the criminals, showing Chui that anyone can be a hero, and righteousness resides within us all. interesting movie and topic. Can't wait to see!!!!!! The tralier clip look pretty good and can't wait to watch this movie. Loooks like a really interesting movie,Excited to watch this biggrin.Can't wait !!!! This looks funny and interesting. Can't wait to watch this. This is a very good movie. The story is good, and the actors are good.